The much anticipated film the “Revenge of the Electric Car” will soon make it’s way out of the film festival circuit and will start playing in regular movie venues “across the U.S. starting this fall” and EV fans everywhere can request a showing of the documentary film in their city via an online form at the films official website. 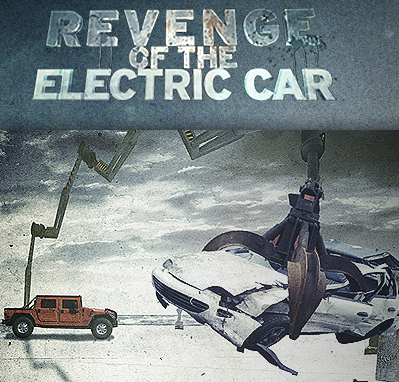 Revenge of the Electric Car can be seen now via Netflix or DVD. The film documents the struggles of four well-intentioned men as they each in their own way try to improve the world in which we live by offering a non-fossil fuel based alternative to transportation. This film is more of a positive follow-up documentary to Chris Paine’s previous “Who Killed the Electric Car” movie, which tried to explain (among other things) why electric cars were not the type of car you happen to be driving today even though they were very popular with their drivers when introduced in California and Arizona more than a decade ago. However, it should be of little surprise to viewers of the film that the electric car has had an uphill struggle if they happen to also know that 7 of the top 11 revenue generating companies in the world are very much invested and have their current profits directly tied to the continuation of a world economy based on fossil fuels. The kind of money and influence these companies can wield obviously gives them preferential treatment by even the mass media due to their massive advertising budgets and/or political contributions. In addition there are major EV government initiatives currently taking place by governments outside the USA such as: China, Brazil, France, Germany, India, Iceland and Israel etc, that also deserve to have their stories told. 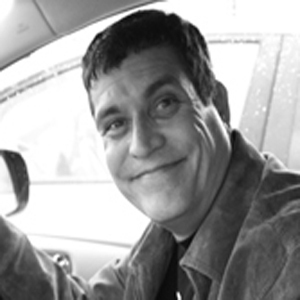 Sadly one can only do so much at one time and the good news is that there are currently no laws preventing Chris Paine from creating another film about the Electric Car at some point in the future. “Revenge of the Electric Car” is a film everyone should be encouraged to see for many reasons. One being that it is rare that individuals have the ability to actively participate in such a possible profound global change simply by their choice of what kind of vehicle to use for their personal transportation. Editor’s Note: “Revenge of the Electric Car” is available on DVD and streaming on Netflix.